يشكل فندق Lamor Holiday Apartments بموقعه الممتاز في منطقة شواطئ ضمن مدينة ييبون، مكاناً ملائماً لقضاء العطلة بعيداً عن عجقة أيام العمل. يمكن من هنا للضيوف الاستمتاع بسهولة الوصول إلى كل ما تقدمه هذه المدينة النابضة بالحياة. يشكل هذا الفندق ملاذاَ مريحاً للاسترخاء ويمنح زواره فرصة للاستجمام والتجدد، وهو يقع على بعد خطوات من المعالم السياحية الكثيرة للمدينة كمثل: ‪Capricorn Coast National Park‬, ‪Bluff Point Walking Track‬, ‪Wreck Point Lookout‬. إن الخدمات التي يقدمها Lamor Holiday Apartments تضمن للنزلاء إقامة مريحة. إن واي فاي مجاني في جميع الغرف, تسجيل وصول/خروج سريع, تخزين الأمتعة, واي فاي في المناطق العامة, صف السيارات هي جزء فقط من الخدمات التي تميز Lamor Holiday Apartments عن باقي الفنادق في المدينة. تنعكس أجواء Lamor Holiday Apartments في غرف الضيوف.غرف لغير المدخنين, مكيف هواء, شرفة/ تراس, تليفون, مروحة هي بعض الميزات الموجود في العديد من الغرف. كما أن مجموعة الخدمات الواسعة الموجودة في الفندق لضمان راحتك تترك لك الكثير من الخيارات لقضاء وقتك أثناء فترة إقامتك. اكتشف مزيجاً ساحراً من الخدمة الاحترافية والخيارات الواسعة من وسائل الراحة والمتعة في Lamor Holiday Apartments. Would not recommend if you find climbing stairs hard. Room was clean and neat. Fantastic view, location, staff, comfort and amenities. Only probably was ants all over bench tops on arrival (so nothing I had left out myself to attract them) there were plenty of other surfaces to place my belongings so it didn't matter all that much. Had I been staying longer I would have requested insect spray though. And the oven didn't work when I went to cook, but i rang reception and in a minute the lovely lady took my food, cooked it for me, And brought it back to me. Would certainly return!! A nice place to relax and take it easy. The apartment was very clean and had everything you would need. The view from the balcony was superb. The location was quite close to all amenities (by car). The road noise with the balcony door open was loud but not heard at night with that door closed. The stairs to the apartments would be considered the biggest issue if you are not good on your legs. Staff were very helpful and the bed was very comfortable. When we arrived I was told that the hot water system had blown up and they transfered us to Rosalyn bay resort, which was nice of them. The only problem is they don't have balconies and that is why we booked with Lamor. Wasn't the best start to our holiday for my wife's birthday. Lovely views and greet location. The cleanliness, lots of dust in the bedroom. Watched the owners/caretakers 'clean' rooms which took 10 minutes max, which explains the bugs in the kitchen cabinets. Poolside toilet 'cleaned' with spray bottle - took 5 minutes. Overall I would not recommend this accommodation mainly due to the rude manner of the owners/caretakers. Too many stairs for older people. Very noisy. Apartment clean. Grounds exceptionally clean. This is an older apartment block that has had a recent refurbishment. Everything was clean and working. 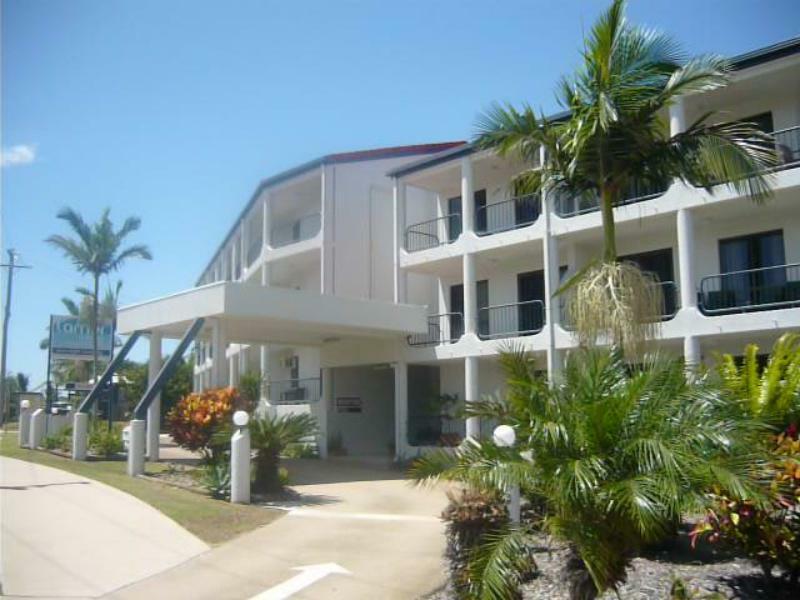 Location is out of town, not close enough to walk, but only a short drive and directly opposite the beach. No dishwasher and no lift so if you get the top floor you have a lot of stairs to walk up and down. Plenty of off street parking but not all undercover. Tennis court is only a half size affair and the pool is great for a swim if the beach isn't your thing. The 3 bedroom apt is comfortable for family of six. Location is great & just opposite the beach. Host were friendly. Only negative is that apartment does not have washer & dryer...only available in common area which requires bringing the clothes up & down stairs. Stayed 2nights. Clean, relaxing apartment. the apartment looks like it had a refurbishment not too long ago, room were nice and clean and the facilities weren't too bad. the driveway is daunting as you go round and down the corner. if you were staying on the top floor which is 3rd story you need to climb 4 flights of stairs which can be tiring if you have children and luggage. 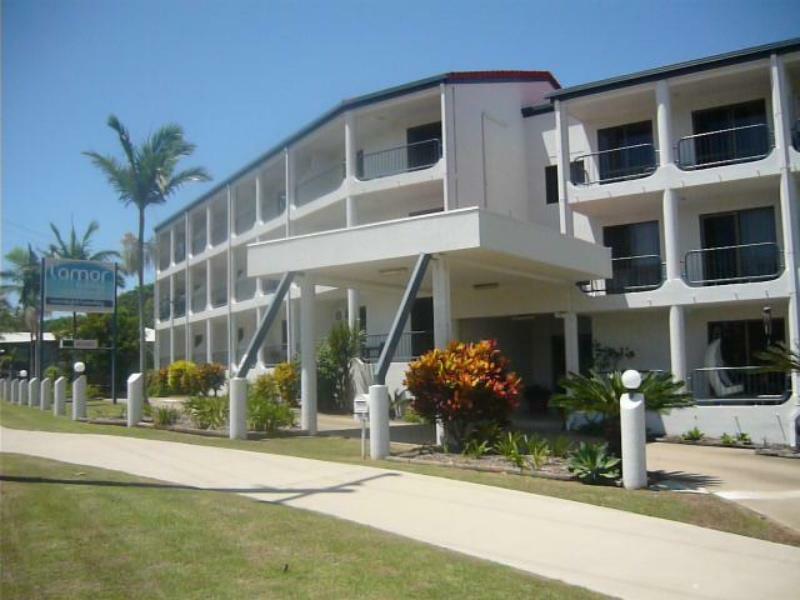 It is nice compared to price and quality of other places to stay in Yeppoon. The apartment was very neat and tidy. Very comfortable. We had a great time in Yeppoon. Excellent stay. Bit of a hike up to the rooms as there is no lift but worth it. Lovely modern rooms, beautiful views, very comfortable.